are willing to be silly and playful in order to find creative expression. It’s not that we try to act silly in class or onstage. It’s just that we are willing to let go of those carefully crafted personas we developed as we grew into adulthood. We let go of having to be in charge and set an example to the kids, the bosses, the clients. I teach all ages and learn from them all. That’s the fun of teaching, continuing to learn. What I notice is how LITTLE my older students complain about what they cannot do or what ails them. They go on, move forward and keep growing. It inspires me to be a better conductor and pianist. So, come to one of the class concerts I’m conducting in the next few weeks. 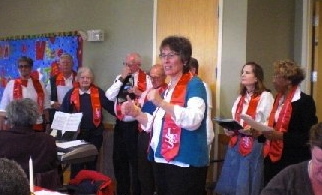 JP Jubilee is the new name for Singing for Seniors at The Boston Public Library. Our concert will be short, free and full of fun. 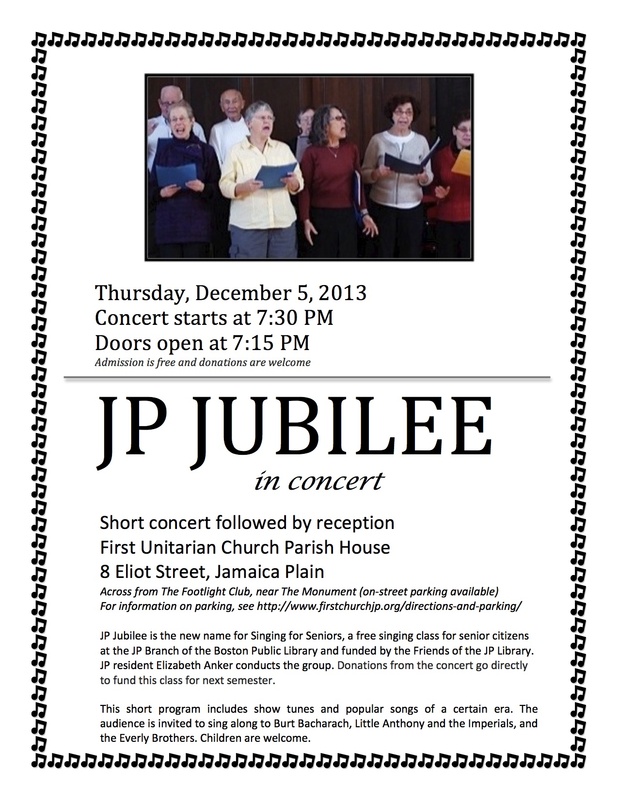 Thursday December 5 at 7:30 pm in Jamaica Plain, see full info below. Posted in JP Jubilee, Learning, Performances, Singing Classes, Teaching and tagged as Platinum Singers, Singing for Seniors. So…IS there a better word?